Jardin accepts as a given that there is a direct and relevant correlation between storage and management. This is a common misconception — that records management is, to borrow a phrase from a beloved grad-school professor, much ado about shelving. Storage is not the driver for government e-mail; documentation of agency function is — or should be. 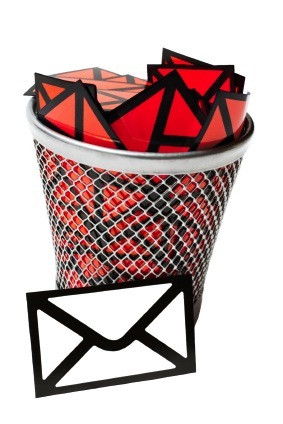 A records management program that identifies retention periods and enforces disposal procedures for correspondence should make the storage issue essentially moot — in other words, the storage curve is much flatter if there’s nearly as much going out as there is going in. This common fear is more exaggeration than misconception. Government e-mail is no more or less exempt from disclosure in the event of legal proceedings than other documents, and in the case of seizure may be deemed inadmissible if its authenticity can’t be reasonably established — just like any other document. This is perhaps the most pervasive — and by far the most frustrating — misconception: that e-mails are historical records. And by extension, that it is incumbent upon employees to discern the historical value of each and every message they send. Now, that being said, here’s where the professional records managers lock philosophical horns with well-meaning amateurs: correspondence almost never performs that role in and of itself. But it is part of the process that creates such evidence or information: reports; policies; rules, regulations, and standards; even org charts and interdepartmental phone books. That’s why records disposal schedules require those records to kept permanently and correspondence to be routinely discarded. Now, when we’re talking about personal correspondence, e-mail falls under the realm of manuscript collections and in many cases should be saved for historical value as the chronicle of a life. But although they might look the same, a work e-mail and a personal e-mail are fundamentally different creatures — if your boss has ever caught you sending personal e-mails from your work account, then you’ve probably already taken that distinction to heart. I thought the advent of computers and the Internet was supposed to sweep away the fusty notion that format drives function. Some habits die harder than others, it would seem. Jardin’s piece is useful for pointing out to a general audience that we do indeed have records retention and disposal problems in the public, private, and other sectors. However, the problem won’t be solved by perpetuating the myths that make the problem seem intractable.